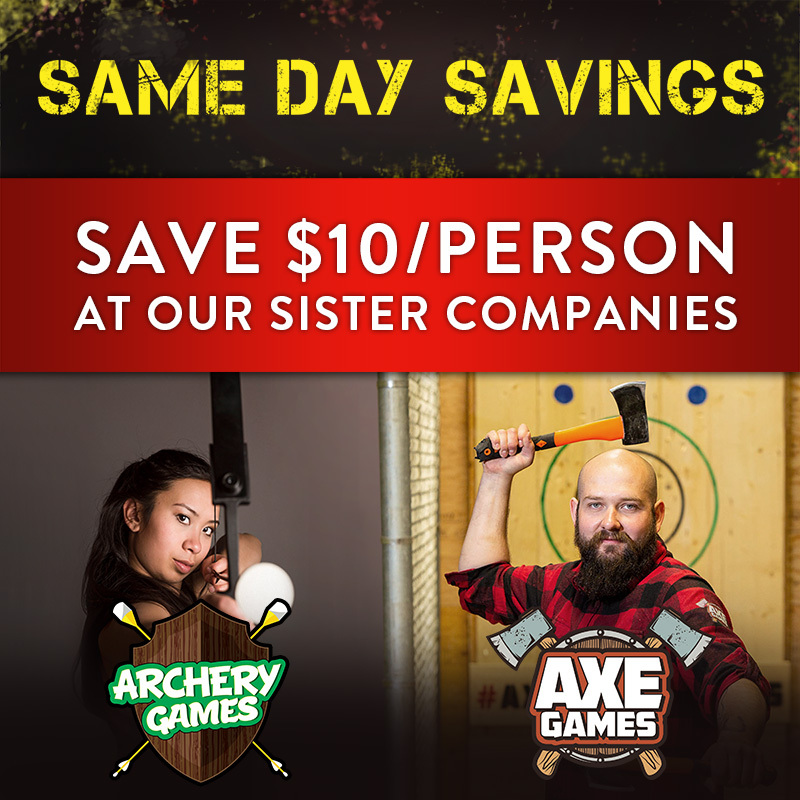 Call: (587) 387-2337 to add on a same-day axe throwing or archery tag game to your locked room booking. Provide your locked room booking information and receive a $10/pp discount for these activities! The Axe Games and Archery Games facilities are located beside The Locked Room NE location at 2015 32nd Ave NE. The Locked Room Calgary periodically has coupons, discounts, deals, and promotions throughout the year via our website. You can view these Locked Room deals here with our new promotions webpage! Unfortunately we are not currently running any Locked Room promotions, but another way to keep in the know about our great offers is to sign up for our monthly newsletter here.